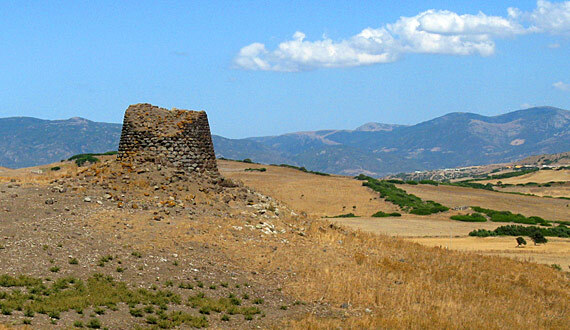 Archaeology Sardinia, Italy: Interesting trips of nuraghe. Who looks at the Losa di Abbasanta nuraghe, the nuraghe Santu Antine di Torralba or that of Arrubiu di Orroli will have no doubts of what can be easily identified with a lot of splendour isolations for a population to which we can identify. Mulumentu, as said by the medieval Sardinians of the nuraghe, are constructed mausoleums, however they did not know by whom or to celebrate what. Domus of orcos, were handed down by the Vulgate population, where the nuraghe had seen habitations of mysterious Orca, almost encountered by the domus de janas, the houses of the fairies, the artificial caves excavated in the rocks which archaeologists have then demonstrated to be prehistoric tombs. The archaeology area of Tamuli, a few kilometres from Macomer, is where you can admire the sacred betile and blocks of sculptured basalt. The seaquake submersed Campidano, covering it with a band of mud. Giovanni Lilliu discovered that, towards the end of the 2nd millennium A.C. the nuraghe of Barumini, 60 kilometres from the eastern coast, was devastated and then reconstructed seven metres higher in respect to its previous level. Nora a Fenic town and then Punic-Roman, is an interesting archaeology area next to the beach. The beach is 3 kms from Nora and is dominated, towards the inland, by the archaeological site. The track of sea is practically divided in half by a walkway in stone; in a part the depth is rocky and low, in the other part the depth is deep and sandy with particularly limpid sea which makes it ideal for scuba diving.